The perfect accessory for ambulance/stretcher matches! 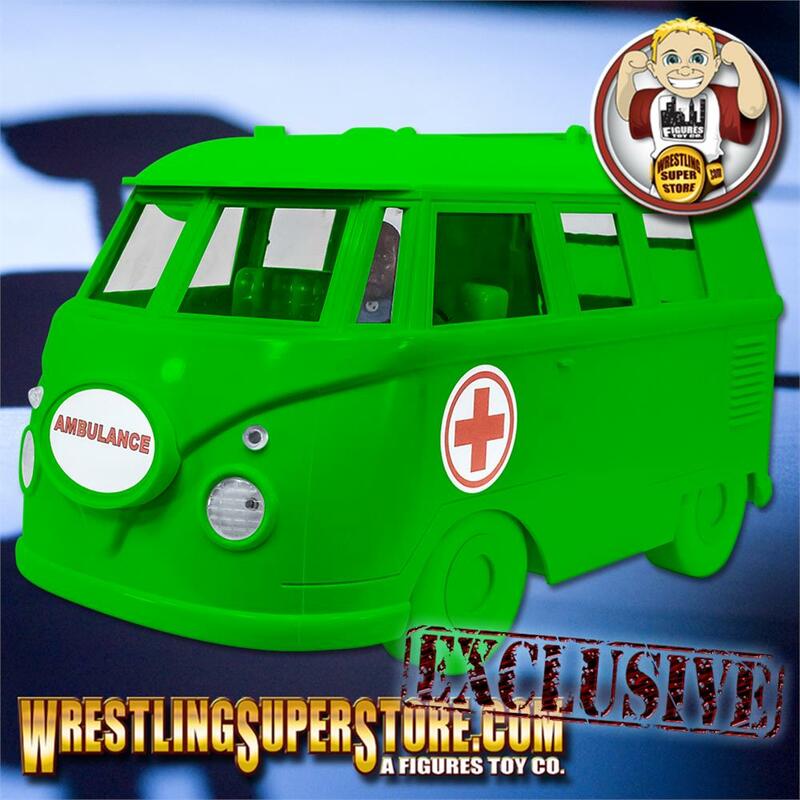 Includes ambulance with removable roof, opening side door and trunk. 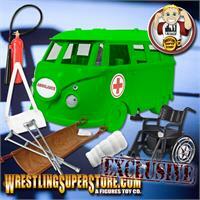 Includes a wheelchair, leg cast, stretcher, pair of crutches, arm sling and fire extinguisher. Perfect for all WWE wrestling action figures! Ambulance measures 15.5 inches long, 17.75 inches wide, 8 inches high.